Breathing the same air as Mark Hamill. That was enough for me. 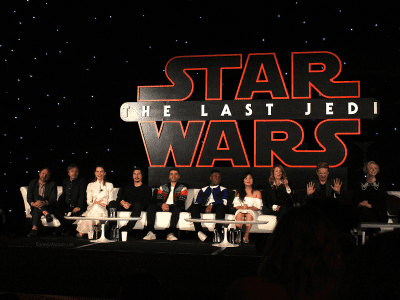 But then line up on a couch Rian Johnson, Daisy Ridley, Adam Driver, Oscar Issac, John Boyega, Kelly Marie Tran, Laura Dern, Domnhall Gleeson, Gwendoline Christie, and Andy Serkis and you have a room that is the Star Wars: The Last Jedi Press Conference. A glorious 45 minutes of complete Star Wars nerd-dom, we got a closer look at what makes this Star Wars sequel unlike anything we’ve ever seen before. 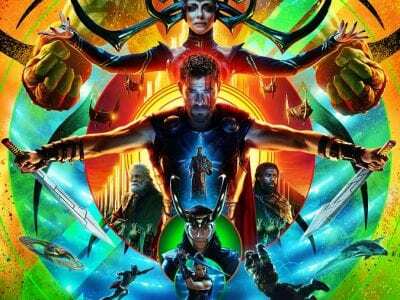 Reading between the lines, I picked up the 7 Sneak Peeks Revealed that you’re going to want to know before seeing this film. No spoilers! Return of the Phasma? Perhaps that is the alternative title we should be on the lookout for in Episode VIII. Captain’s Phasma’s return in Star Wars: The Last Jedi comes with much applause from the Star Wars fandom world. But how much do we know about the woman behind the mask? 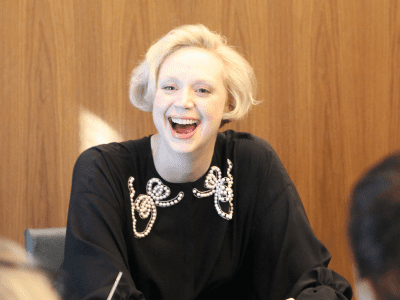 According to Game of Thrones star Gwendoline Christie, we are going to be learning a lot more. In this exclusive Gwendoline Christie interview, find out exactly what we will unmask in Captain Phasma’s story, being the “unconventional woman,” and what she really thinks about Game of Thrones vs. Star Wars. Did someone say a fashionable Star Wars character? 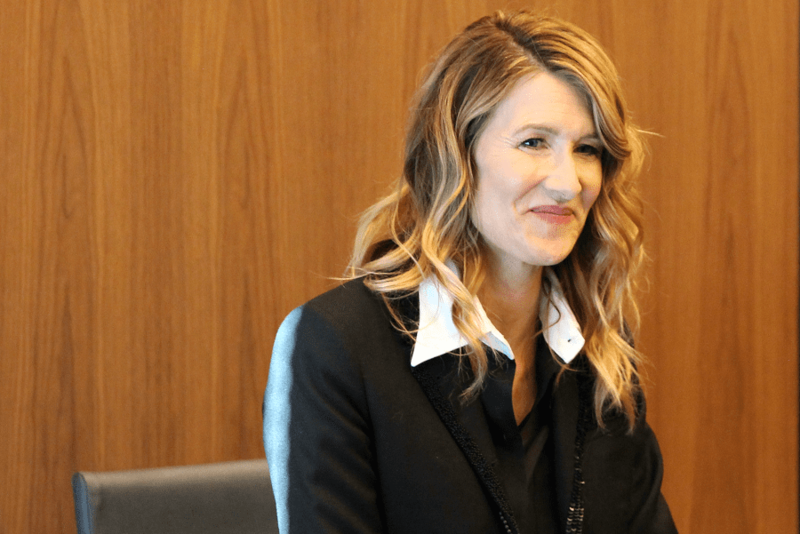 Laura Dern knows a thing or two on balancing empowering and feminine character traits as a leading actress in her field. From fighting dinosaurs to now fighting The First Order, Vice Admiral Amilyn Holdo, will most likely surprise many Star Wars fans (or at least her hair will). But does this new Rebellion leader fit into the Star Wars galaxy that we know and love? 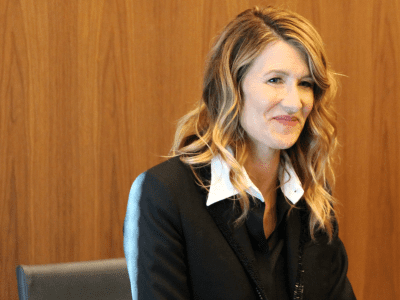 In this exclusive Laura Dern interview we talk about working with Rian Johnson, a fashion-forward universe and changing our perspective on strong female Star Wars characters. It’s more than a press conference. It’s an experience. Here’s the Best from the Star Wars: The Last Jedi Press Junket. This post is sponsored by Disney. All Jedi induced opinions are my own. 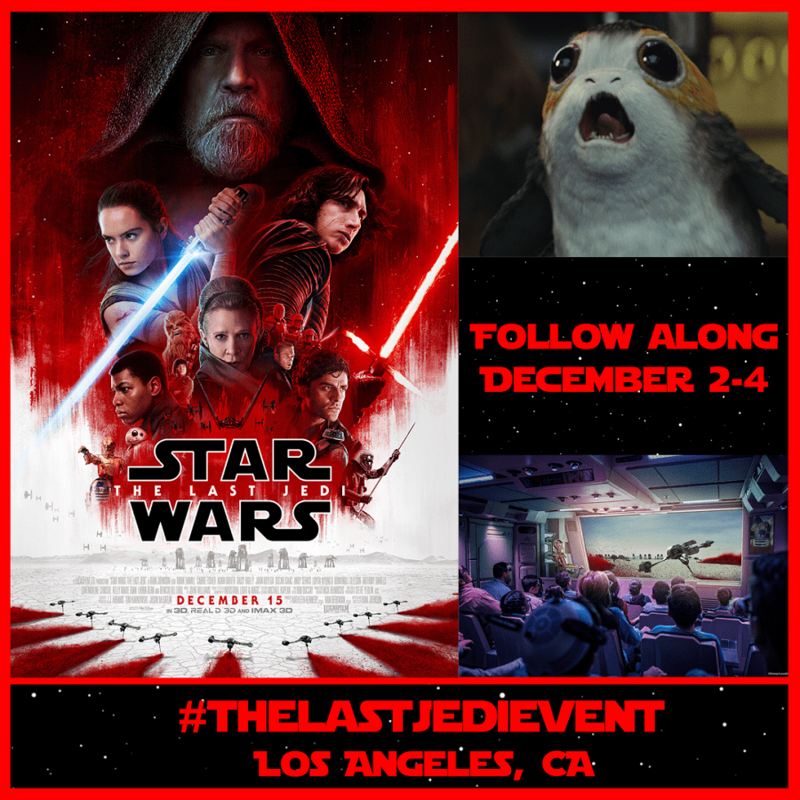 #TheLastJediEvent. May contain commissioned links. 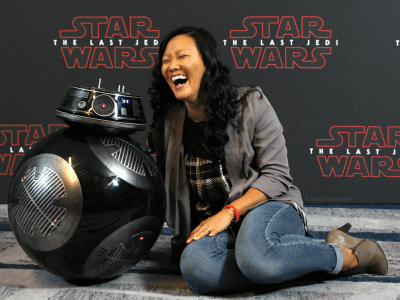 This is what happens when you get asked by an adorable BB-9E droid to come to the dark side. All work and no play? Hardly. You would think that the Star Wars: The Last Jedi Press Junket would be focused on amazing interviews and getting the latest plot spoilers. And trust me, they are. But a Star Wars press event is so much more than writing notes, taking pictures and tweeting tweets. It’s an experience, and one that I won’t forget any time soon. And yes while the Star Wars: The Last Jedi Press Conference had to be the biggest highlight of the century (breathing the same air as Mark Hamill! ), there’s so much more that happens at the Star Wars: The Last Jedi Press Junket than a cast & director Q&A. Go behind-the-scenes to see our day and the Best from the Start Wars: The Last Press Junket and more priceless pictures of me being goofy. 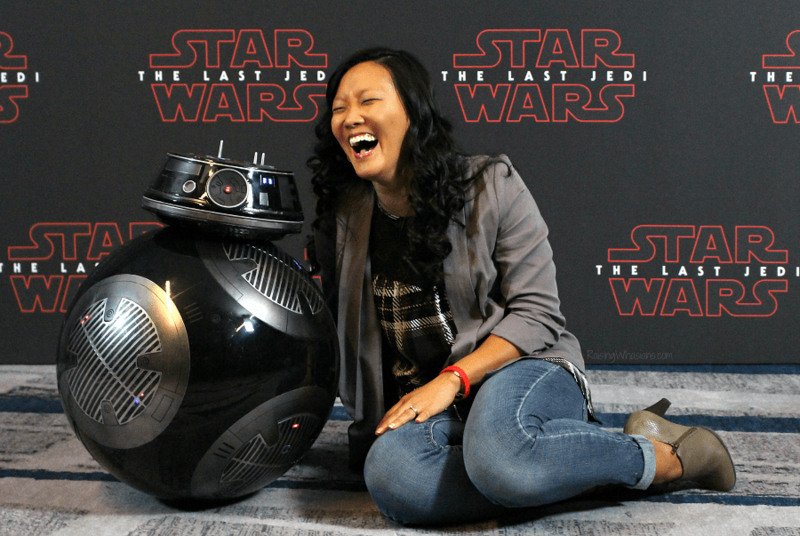 The Last Jedi Press Event Will Make Star Wars History for My Asian Daughter. I’m on my way to LA to meet Kelly Marie Tran! This post is sponsored by Disney. All of The Force induced opinions are my own. Confession: The first time I saw the released photos of Rose, I cried. Unlike the other amazing Disney and Star Wars press trips I have attended over the years, The Last Jedi Press Event hits a bitter part of my childhood. I’m on my way to L.A. to meet Kelly Marie Tran – aka Rose the Rebel mechanic aka the first lead Asian female actress in Star Wars franchise history. In case you don’t realize how BIG this milestone is, imagine me watching the Star Wars trilogy hundreds of times over my childhood, not once seeing anyone in the whole Star Wars universe that looked like me. As a person with a multicultural Asian background, we don’t say it but we definitely look for inclusion in all aspects of our lives, especially movies. Here is where there are heroes that save the day, inspiration and hope for tomorrow and most of all role models for kids to look up to. I didn’t have an female Asian hero to look up to. And I wish I did. 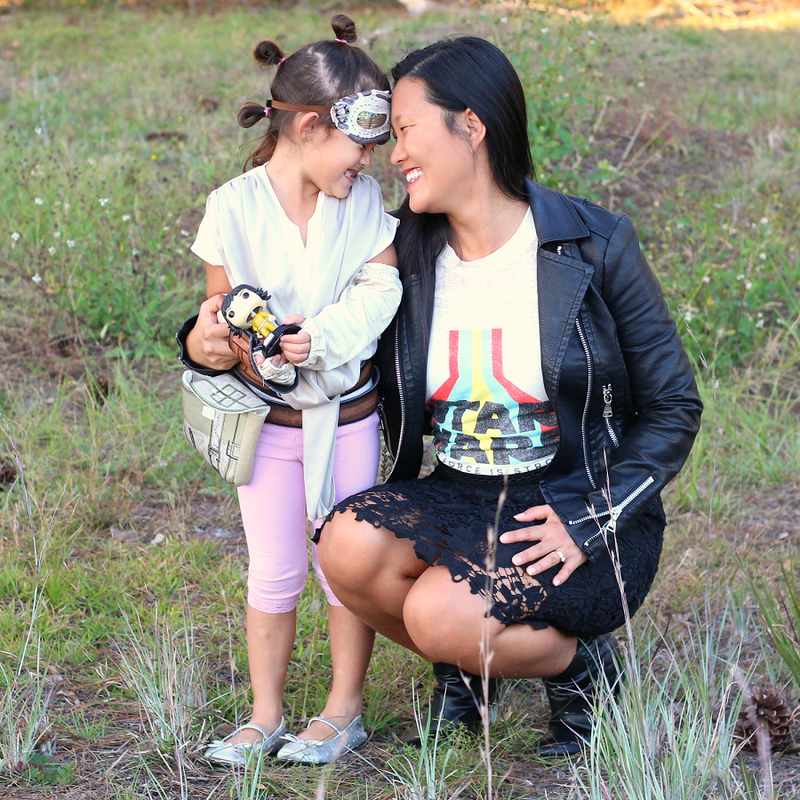 I had no idea the depth of how much this Asian exclusion in Star Wars affected me until I had my own kids. But times are changing. As the new movies started to roll out, I was highly impressed with how changes in the Star Wars universe were breaking barriers and creating new “firsts.” More diversity. More inclusion. More strong and empowering female women. I remember nodding my head in approval as Rogue One came out and I saw my son wanting to be Chirrut. But what about my daughter? My heart hurts for her. But after 30+ years, I have tears in my eyes. My daughter will not grow up like I did. She will grow up with a strong Asian female that looks like her in Star Wars. This is HUGE. Everything she knows about Star Wars will change with The Last Jedi. And I couldn’t be more excited. 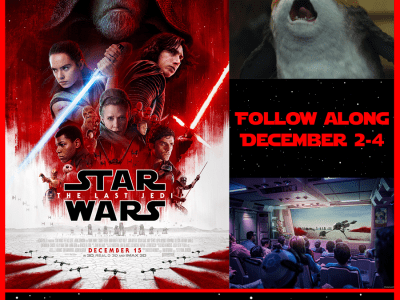 Star Wars has been a huge movie franchise in not only bringing entertaining family action movies to the forefront, but in challenging important topics like race, diversity, inclusion and acceptance. And now, I get to witness Star Wars history in the making. And in this very moment, I’m traveling to meet the future role model for my Asian daughter. 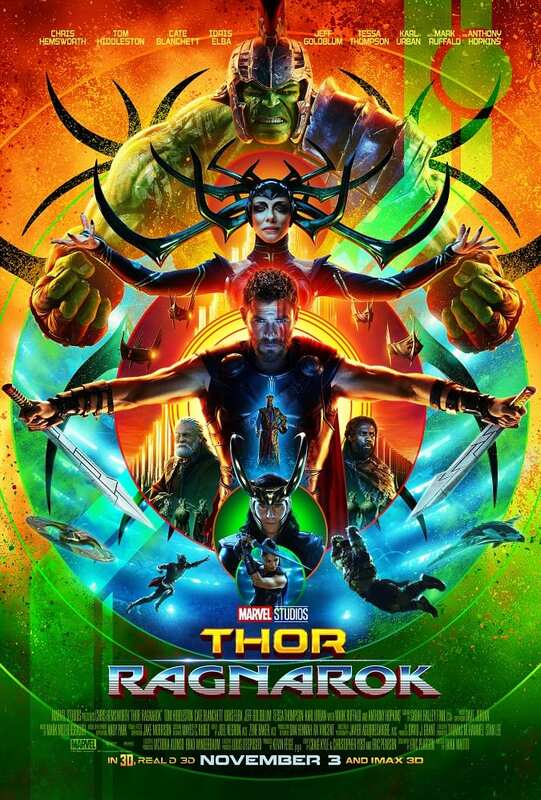 This may be the single most important movie of my life. 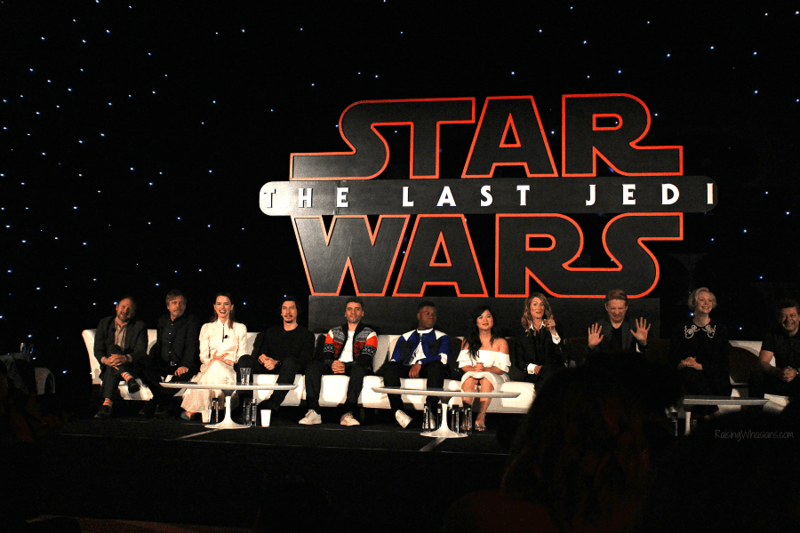 Check out what’s in store for this very special #TheLastJediEvent press conference and who else we get to meet from the Star Wars universe. I hesitated as I sat in the theater with my kids, my 9-year old on my left and a very timid 4-year old on my right. Skeletons did not appeal to my daughter’s interest. I don’t blame her. I never told her otherwise. My son seemed confused – was this a scary film or not scary film? And I went in with very little expectations – Dia de los Muertos wasn’t high on my list of must-watch movie plots. Does Disney•Pixar’s latest cultural venture astound or confuse families? What about that PG rating? And will those skeletons be haunting my preschooler’s dreams? 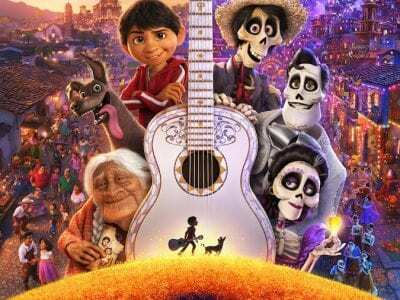 Find out in this spoiler free parent review of Coco. 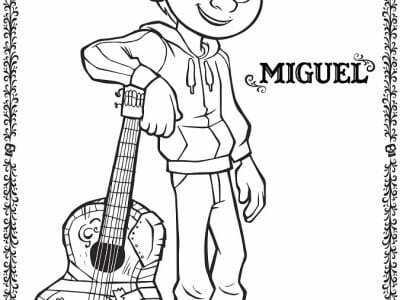 Get ready for Disney•Pixar’s Coco movie with 11 FREE Coco Coloring Sheets + Kids Activities! 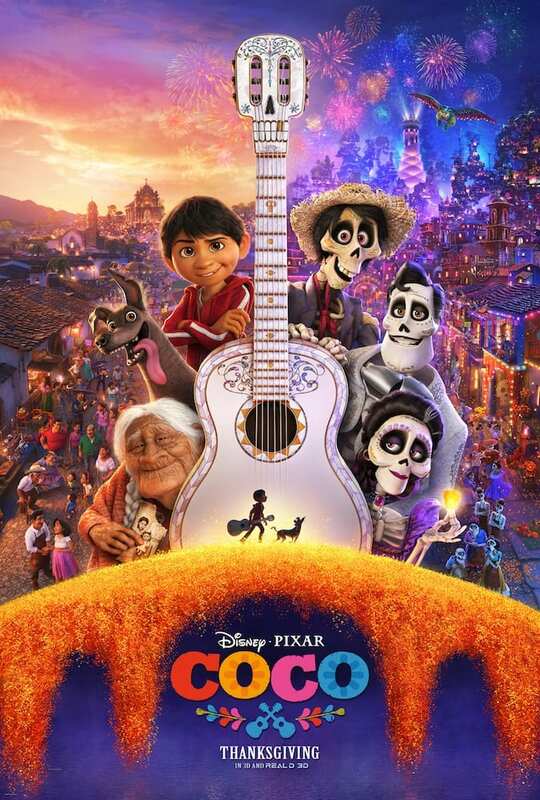 Excited for Disney•Pixar’s Coco this fall? I’m so excited to see the stunning visuals of the latest Pixar animated movie – bringing rich multicultural history and culture to life on the big screen! And just released, Disney has a new pack of FREE Coco Coloring Sheets + Kids Activities to get your family excited for Thanksgiving 2017 (and not just for the turkey). 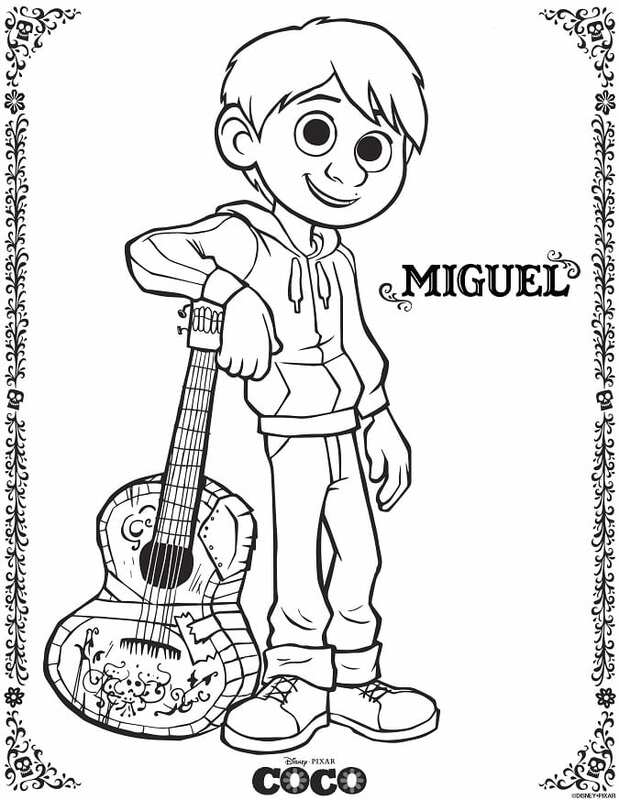 Check out the 11 free pages of beautifully detailed coloring pages, mazes, and more as we countdown to Disney•Pixar’s Coco, in theaters on November 22nd! Huge Disney Descendants fan? Check out 50+ Descendants 2 Fun Facts + Exclusive Cast Interviews with new behind-the-scenes moments & more with the cast. This post is sponsored by Disney Channel. All fanatical opinions are my own. Dove Cameron. Boo Boo Stewart. Cameron Boyce. Sofia Carson. China Anne McClain. Kara Saun. Oh, and let’s not forget the legend Kenny Ortega. If you’re a Descendants fan, these names are ingrained in your brain. Now imagine sitting in a room and interviewing them all – dishing about the long-awaited sequel, Descendants 2. If you’ve let out a squeal – perfectly normal. I was fortunate enough to sit among these wonderful people who have brought Disney’s Descendants to life as well as preview a few sneak peeks of the movie. If there was ever a time to dive into everything Descendants 2, now is the time. 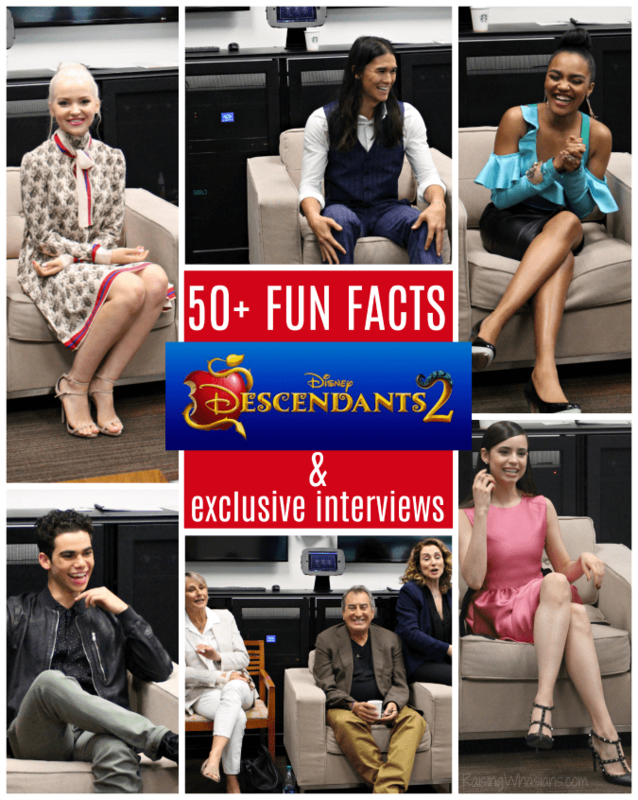 Here are 50+ Descendants 2 Fun Facts, including exclusive interviews. From never before seen fun facts, behind-the-scene moments, direct quotes and even a few tear jerkers, these interviews are definitely going to “move” you in more ways than one.